We are in a very busy and exciting time. OMF-funded scientists are meeting around the globe with other experts to advance research. We were thrilled to have such a strong presence at the Emerge Australia conference. As reports, recordings and information is available, we will continue to keep you informed. The Expert ME/CFS Clinician’s Summit in Salt Lake City, Utah was a great success. I was thrilled to meet with the leading patient care providers in the U.S.. We will share the reports as they become available. We are looking forward to the upcoming NIH ME/CFS meeting in Bethesda, Maryland on April 4 & 5 and seeing many of you in person or via Livestream. OMF is sponsoring the coffee breaks and lunches at the venue so that all participants can maximize this excellent networking opportunity. NIH registration is available here. We also look forward to seeing our friends at IiMEC14 in London at the end of May. ME/CFS research momentum is growing. Thank you for sharing our vision to end ME/CFS. 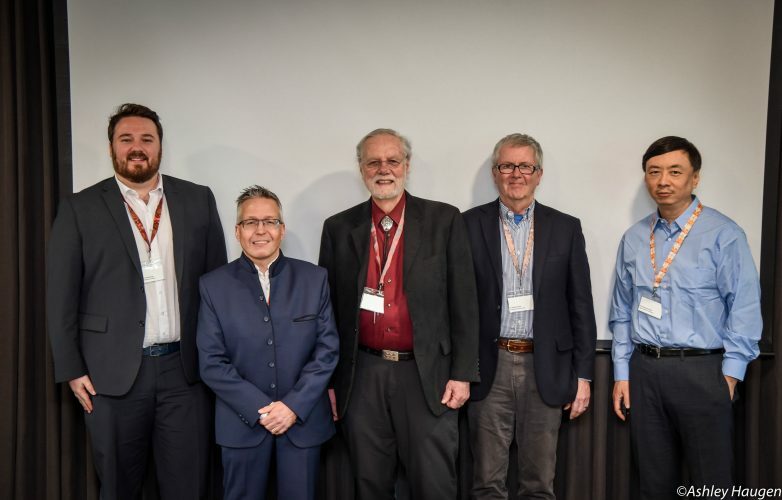 (Left to Right) Christopher Armstrong, PhD, Jonas Bergquist, MD, PhD, Ronald W. Davis, PhD, Robert Phair, PhD, and Wenzhong Xiao, PhD, all presented on March 14 at the Symposium. (Left) Dr. Lucinda (Cindy) Bateman, (Center) Mary Dimmock, (Right) Linda Tannenbaum, Daniel Peterson, MD, and David Kaufman, MD. Members of our Scientific Advisory Board recently met at Stanford University to discuss OMF-funded research. Participants included (left to right) Christopher Armstrong, PhD, Ronald G. Tompkins, MD, ScD, Janet Dafoe, PhD, Ronald W. Davis, PhD, Linda Tannenbaum, OMF Founder & CEO/President, Wenzhong Xiao, PhD, and H. Craig Heller, PhD. Not shown: Maureen Hanson, PhD, who participated remotely. OMF will be an event sponsor at the Invest in ME Conferences (IiMEC) further cementing our supportive relationship. In addition, Invest in ME Research has announced that Dr. Ron Davis and Dr. Ron Tompkins will be presenting at both the 2019 Colloquium and Conference to share updates on OMF-funded research. 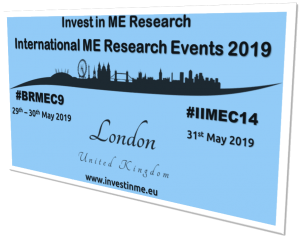 The 14th Annual Biomedical Research into ME Colloquium (BRMEC) will be held May 28-30 in London followed by the International Invest in ME Conference on May 31. 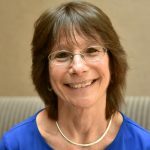 Linda Tannenbaum and other members of our Scientific Advisory Board will also be attending. Registration information is available here. If you will be attending, be certain to stop by the OMF table. 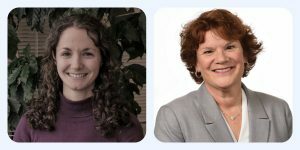 We’d like to welcome two new members to our OMF board: Katie Bach, Managing Director of the Good Jobs Institute, a nonprofit (left), and Carol E. Jensen, Chief People Officer and Senior VP of Flatiron Health, a technology company (right). Together, they bring high-level strategic management and fundraising experience that can help our team at OMF achieve its mission of delivering hope and leading research to end ME/CFS and other complex chronic diseases. Carol, on the other hand, brings experience in marketing and human resources which she commented can help the organization strategically grow to have greater impact. Prior to being responsible for human resources at Flatiron, Carol was Chief People Officer for Wawa, a fresh food and convenience retailer with annual sales over $10 billion and more than 29,000 associates. We thank both new members for joining the board and look forward to scaling our fundraising and footprint with their expertise and support. To read Katie’s and Carol’s full bio and meet our other board members, visit our website. Learn more ways you can support OMF here.